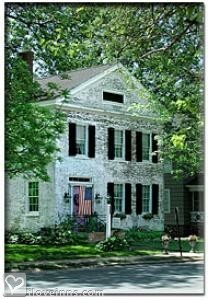 Wethersfield bed and breakfast travel guide for romantic, historic and adventure b&b's. Browse through the iLoveInns.com database of Wethersfield, Connecticut bed and breakfasts and country inns to find detailed listings that include room rates, special deals and area activities. You can click on the 'check rates and availability' button to contact the innkeeper. Go back in time in the "Most Ancient Town" of Wethersfield. It is a romantic and historical place which offers activities you'll enjoy as you visit Connecticut. A living community, Wethersfield boasts museums, historic sites and architecture, parks, shops and cafes. The Visitor Center offers guests information on historical exhibitions, lists of attractions and maps. Have a relaxed tour on your own or try more structured, hands-on activities offered by The Wethersfield Historic Society. For outdoor recreation, enjoy picnics, boating, hiking, biking and bird watching in Wethersfield's array of parks and playgrounds. Discover the many gardens and farm stands throughout town during summer and autumn seasons. Wethersfield boasts of its agricultural heritage. Since you can't do all these things in one day, enjoy great deals on quality stays in Wethersfield bed and breakfast inns. By Chester Bulkley House B&B.